BOLD Office Solutions is excited to announce the new partnership between Kimball and David Edwards. This partnership means BOLD is now able to offer our clients David Edward products. 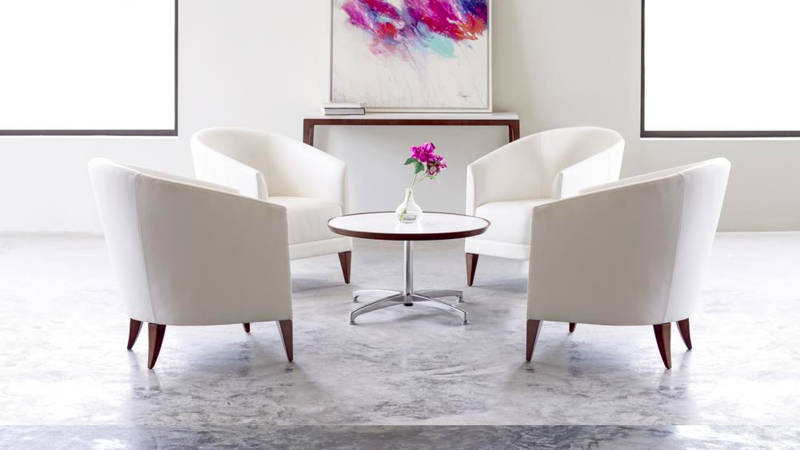 David Edward is a premier designer and manufacturer of contract furniture, sold in the healthcare, corporate, education and premium hospitality markets. David Edward NeoCon 2018- FULL VIDEO from David Edward on Vimeo. David Edwards products are as versatile as they are well designed. The Kutee, for example, blends modern shapes and style with the practicality of storage, padded seating and optional tablet surfaces. The Anora collection is another example of form meeting function. A classic lounge collection with a striking arrangement of soft materials and gorgeous wood, Anora is as much an art piece as it is a centerpiece to any lounge or gathering space. Check out all the new introductions from David Edwards. Kimball leadership has nothing but praise for the new partnership and the history of such a remarkable furniture line. The David Edwards installation gallery is a striking example of the level of detail and quality that we have come to admire from Dave Edwards.